Jerry C. Jacks of Hixson went home to be with his Lord and Savior on February 3, 2018. He was born on July 23, 1931 to the late W.G and Ouida Jacks of Booneville, Ms. He was preceded in death by his son, Eric C. Jacks; his granddaughter, Andrea Galen Jacks; and his brother, Glen Jacks. Jerry is survived by his wife of 64 years, Elaine F. Jacks; his daughter, Janet J. (Kevin) Connelly of Cleveland, Tennessee; his son, Dr. Alan F. (Janice) Jacks of Connelly Springs, North Carolina; and his son, Robert C. (Patti) Jacks of Hixson. 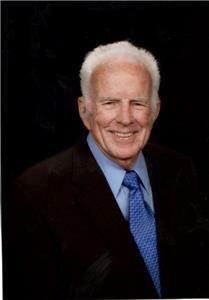 He was a loving grandfather to seven grandchildren and three great grandchildren: Rebecca and David Frady and their children, Mikaela and Nathaniel; Mary and Stephen Runnels and their daughter Remington Elena; Colton and Julia Connelly; Daylan Jacks; Connor Jacks; Anna Jacks; and Alyssa Jacks. Jerry was a member of Dallas Bay Church of Hixson. Wherever his work took him, Jerry served in various positions of the church to which the family belonged at the time. He proudly served in the U.S. Army and was stationed in Japan. After leaving the military, he and his wife finished their college work at Mississippi State University. Jerry had a degree in both chemical and mechanical engineering. He joined DuPont in 1957 at the Chattanooga plant, and after multiple relocations, including 10 years in Monterrey, Mexico, he retired after 35 years to the Hixson area. Jerry was dearly loved by his family and friends and will be sorely missed by all. Our family would like to thank Hospice of Chattanooga, especially Jerry’s case manager, Alison Wheatley, for their excellent and compassionate care during this difficult time. In lieu of flowers, the family requests donations be made to Hospice of Chattanooga, P.O. Box 46, Chattanooga, Tennessee, 37401. Visitation will be held from 10:30 a.m.-12:30 p.m. on Monday, Feb. 5, at Chattanooga Funeral Home North, 5401 Highway 153, Hixson, Tn. 37343, followed immediately by funeral services and interment.